When considering how to form or grow your business, you may want to look into partnerships. 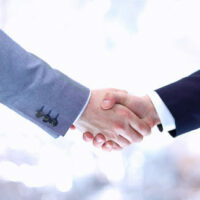 In some cases, a partnership can simply guide a business arrangement and does not offer any particular tax benefit. However, some types of partnerships can be used to obtain a certain financial and legal status, such as limiting the personal liability of one or more of the partners. If you and another individual or business are interested in working together, take a look at the different kinds of partnerships available to you. For answers to your more detailed questions about forming a partnership, contact an experienced West Palm Beach business formation attorney at the Law Offices of Larry E. Bray. A general partnership is relatively easy to form in Florida and there are no ongoing formal requirements to meet like there are for corporations. During a general partnership, every partner has the same rights and powers. Each individual benefits from the partnership’s success or is responsible for the partnership’s debts equally (unless the partnership agreement states otherwise). Under a general partnership, each partner’s personal assets may be attacked by creditors and used to pay off debts. During a limited partnership in Florida, some of the partners may have limited liability along with limited control of management decisions. The amount of power each partner has depends on that individual’s investment into the business. The partnership must have at least one general partner who is responsible for the business’s debts and at least one limited partner, who is typically the investor. This enables investors to be involved in a business without being hands-on in the day-to-day processes and without creditors being able to use the investor’s personal funds to satisfy debts. However, creditors can still go after the general partner’s personal assets. An LLP is a type of general partnership that offers all of the partners personal liability protection. This means they may not be personally sued for the conduct or negligence of the business or have creditors attempt to seize their personal assets to pay off debts. LLPs are beneficial to certain types of professionals who provide personal services and may need additional protection against lawsuits, such as attorneys, accountants, and medical providers. An LLLP is a type of limited partnership in which all of the partners are protected from liability as in an LLP. There must be at least one general partner who runs the business, and who under this arrangement, is no longer personally liable for the business’s actions and debts. For each one of these types of partnerships, Florida has formation and registration requirements. Additionally, for all of these arrangements, the partners are going to need to negotiate and finalize a thorough and forward-looking partnership agreement and determine how to handle their personal and business taxes. For help with all of these legal and administrative tasks, contact the Law Offices of Larry E. Bray in West Palm Beach.